The grand narrative of educational policy statements lack clear guidelines on Information Communications Technology (ICT) integration. A review of current academic literature fails to provide consistent strategies for institutions and practitioners determined to adopt ICT in an informed way. This chapter introduces criteria for the successful implementation of ICT-enabled tasks. It argues that the integration of ICT is best supported by a pedagogy that facilitates experiential learning and a development of academic competencies. The context for demonstrating the importance of the informed use of ICT is a research project entitled, “iPod therefore iWrite,” in which multiple-media content was developed by students in Japan and the United Kingdom. Cuban’s observation appears to be supported by academic research and agency reports of ICT adoption. For instance, academic literature that considered the effect size of research in the 1990’s portrays a varied picture of some gains in quantitative tests by students in experimental groups (Kulik, 1994; Wood, Underwood & Avis, 1999; Parr, 2003). Kulik (1994) used meta-analysis to aggregate the findings from 254 controlled evaluation studies, and discovered that technology rich classes produced an effect size of 0.3 on quantitative measures of educational performance; considered significant but moderate (Fitz-Gibbon & Morris, 1987). Apologetically, the British Educational Communications and Technology Agency (BECTA) reports that it will take time for empirical evidence of the benefits of ICT integration to emerge (Cox, Abbot, Webb, Blakeley, Beauchamp & Rhodes, 2003). The conclusion is that computer assisted learning is no more effective than other types of intervention (Parr, 2003). Why is this? Selwyn (1997) points to education policy statements and the discourse of promoters of technology which often lack a solid rationale for ICT adoption. In other words, despite the attempts of implementation of technology in schools and universities, there lacks direction about ICT’s integration into course curricula and pedagogical practices. This deficiency is supported by Avriam (2000) who argues that, “the introduction of ICT into education has often been carried out with vague and confused conceptions of the desired model of learning which the new technologies were supposed to enhance and without clear conceptions of any guiding educational values” (p. 332). Instructors and pupils will communicate and collaborate with other institutions. Innovative processes in education will be generated. Creative thinking, lifelong learning, and social responsibility will be enhanced. Administrative and management excellence in the education system will be promoted. Informed Use: Adding value to good tasks, or making tasks worthwhile. Policy: A plan of action adopted by a government or ministry. Collaboration: A process where students work together to achieve an outcome not possible otherwise. ICT: Information Communications Technology may be described as technologies that enable access, retrieval, storage, and sharing of data. 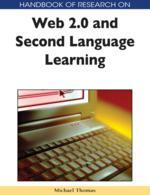 Often viewed as a technology subject at schools, Web 2.0 is shifting the onus towards communication by users. Task Design: An arrangement of a scheme of actions leading to a learning outcome or artifact. Shared Spaces: A common location, usually online in a Bulletin Board System, where remote students can contribute.